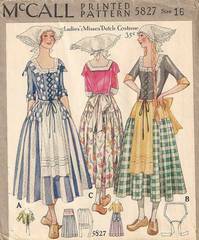 Original vintage McCall 5827 Ladies Dutch Costume pattern. 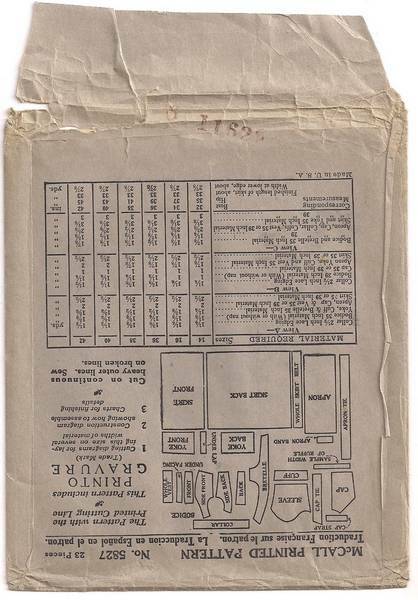 Rare, smaller size envelope measures 5-3/8 x 6-3/8 inches. 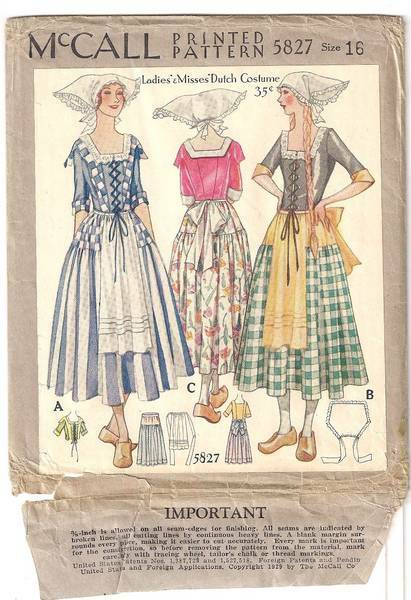 Printed pattern pieces and printed gravure (instructions) are in excellent, uncut condition. Envelope is complete and in good condition with one small tear at lower edge, as shown in photo below. Copyright on the flap is 1929.